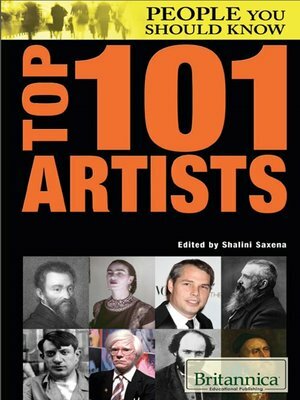 The influence of art on culture and society at large is irrefutable, and the 101 artists included in this book are some of the most recognizable names in the history of Western art. These Biography & Autobiography will help readers gain entry to the lives of many of the individuals who have defined art in its various mediums throughout the ages. Photographers, painters, and sculptors are among those included, making these profiles a must-read for fans of any genre of the visual arts. Photographs of the artists and images of their pieces serve as visually stunning complements to the details of their personal stories, influences, and their contributions to the world of art.